[PDF] French Tanks of the Great War: Development, Tactics and Operations | Free eBooks Download - EBOOKEE! 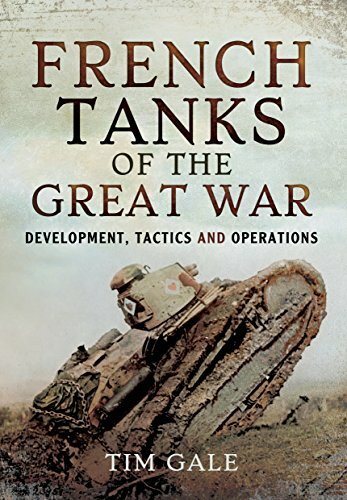 Description: The French tank corps was an essential part of the French army from 1917 onwards, yet its history has been strangely neglected in English accounts of the Western Front - and that is why Tim Gale's meticulously researched history is such a timely addition to the literature on the First World War. Using information derived from the French military archives at Vincennes, much of which has never been published in English before, he describes the design and development of the tanks, the political and organizational issues that arose between the French military and civilian bureaucracy and the record of these pioneering fighting vehicles in combat. All the major engagements in which French tanks participated are depicted in graphic detail, often quoting directly from recollections left by individual tank commanders of their experience in battle, and each operation is assessed in terms of its impact on French tactics in general and on tank tactics in particular. The Nivelle offensive and the battles of Malmaison, the Matz, Soissons and Champagne are featured in the narrative, and the actions of the French tanks serving with the US army are covered too.Much of the material in Tim Gale's study will be entirely new to non-French speakers. The story will be fascinating reading for anyone who is interested in the Great War, the French army, military innovation and the history of armoured warfare. No comments for "[PDF] French Tanks of the Great War: Development, Tactics and Operations".